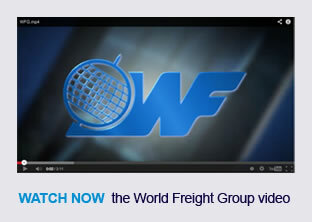 Want to join World Freight Group? Trust a network with over 20 years experience, and ask our members for your next freight quote.. The World Freight was formed in April 1992 by a small group of freight forwarders, over the years our membership has dramatically grown covering 500 ports and airports globally. Our members represent the best in the industry, each freight forwarding organisation is privately owned and managed, and have undergone a strict vetting procedure to ensure they meet the WFG's high standards in terms of care, capabilities and professionalism, delivering excellence worldwide. We realise that there is a lot of choice in the market place for Freight Forwarders looking to become part of a Global Network, and for companies looking for a network of members who can handle their Global freight requirements. We are convinced that WFG has the credentials you are looking for, allowing you to work in the knowledge of a trusting, secure and professional organisation.